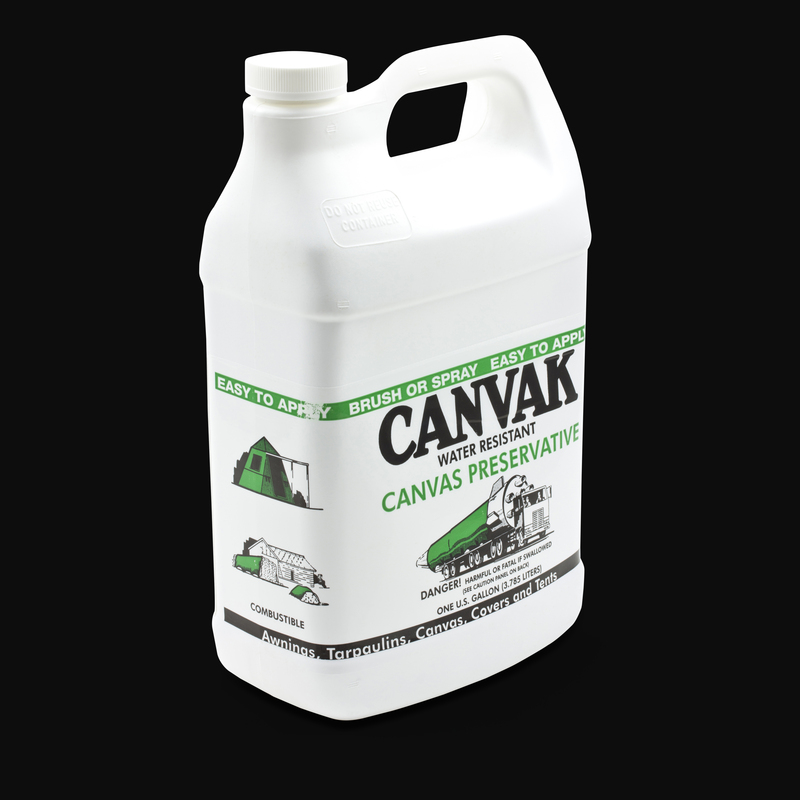 Canvak is a refinishing compound that restores water repellency to cotton fabrics. 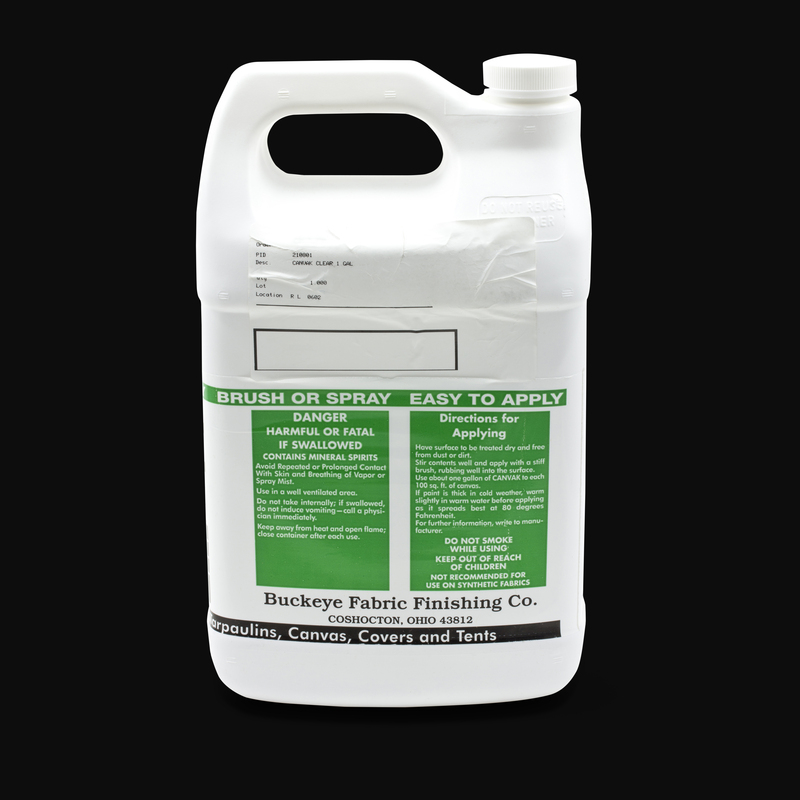 It is normally sold as a semi-clear solution which may be applied to any color fabric. However, it contains wax and may leave a water repellent film on the fabric. 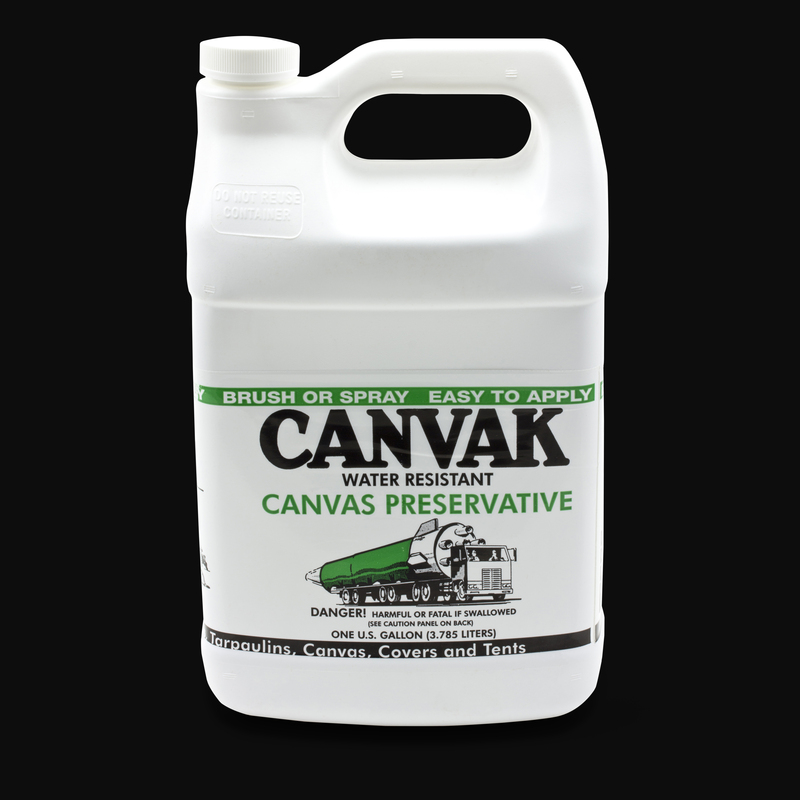 It is recommended that Canvak be applied to a small inconspicuous area first to be sure the product will create the desired results. Canvak is not recommended for use on synthetic fabrics. 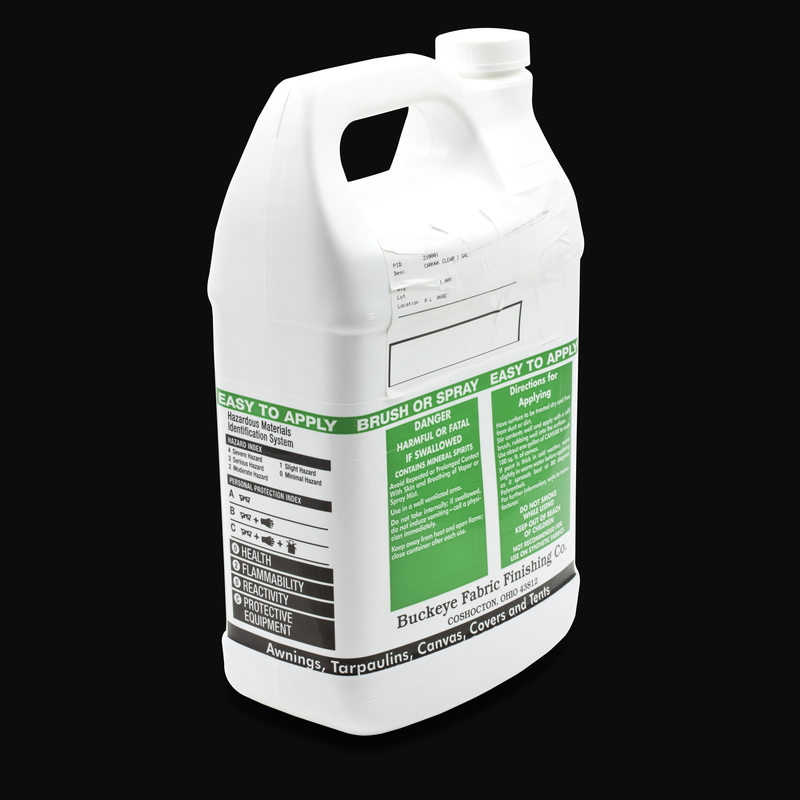 One gallon covers 100 square feet and can be applied via brush or spray. Buckeye Fabric Finishing Co. warning for Canvak: Flammable. Keep away from heat and open flame. Do not use near welding, cutting torch, or metal scraping tools. Close container after each use. Flash point 104°. Use in a well-ventilated area. Avoid repeated or prolonged contact with skin and breathing of vapors or mist spray. Neoprene gloves recommended for long exposure. Excessive inhalation could cause dizziness or nausea. Can cause severe eye irritation. Flush eyes with large amounts of water. Wear splash goggles for eye protection. Do not ingest. Swallowing could cause vomiting and diarrhea, and could possibly be fatal.